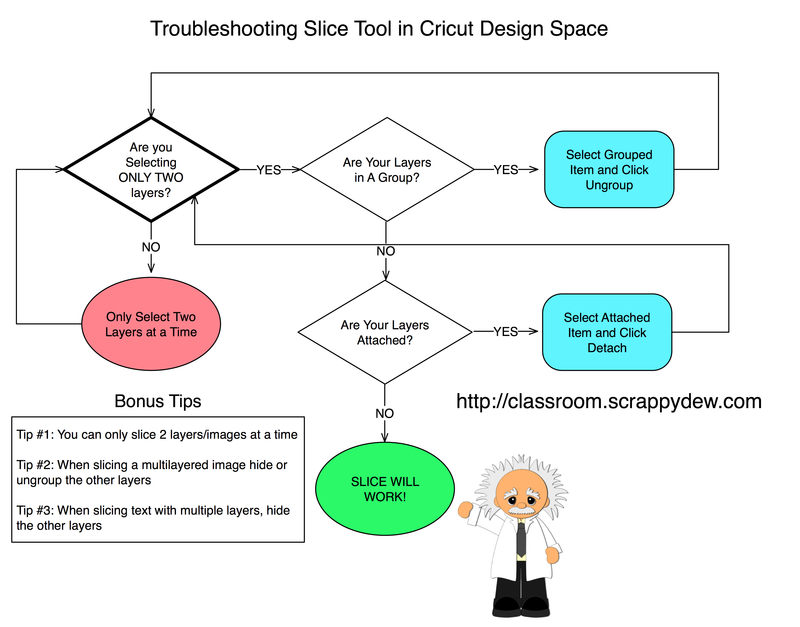 All the graphics are free for you to download - use - and share with others. Please help us spread the word about this course and the benifits you can get from taking it. There will be times that you will need to know why the Slice option isn't available to you. Well if you follow this chart you shouldn't have any issues. 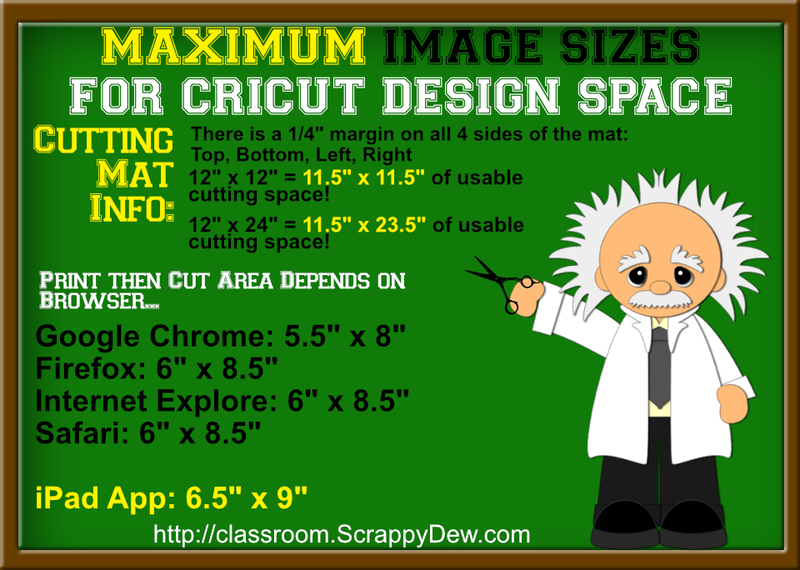 This next graphic here will is an easy reminder of some of the mat sizes and design area you can use per given mat. It also provides the Print then Cut measurements based on browser. Some people have problems with seeing blurry images on their screen. 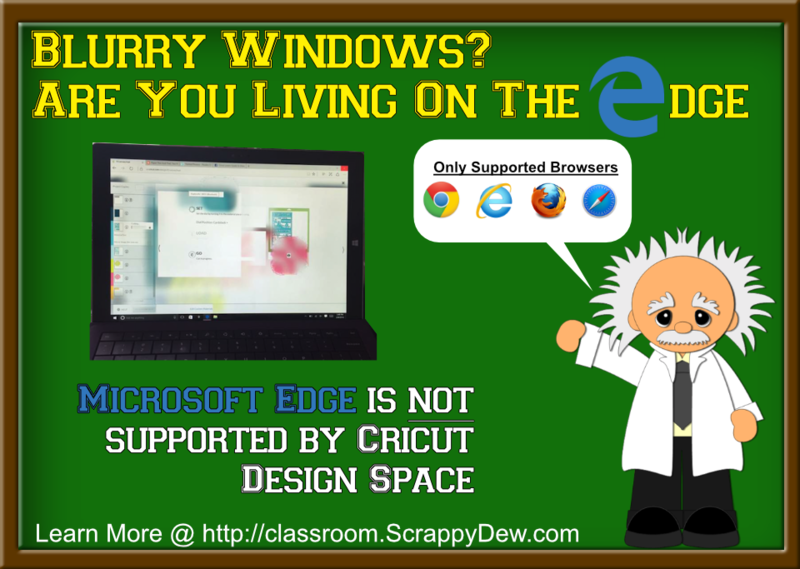 This image here will let those know that using Microsoft Edge is not currently compatible with Cricut Design Space. The correction for this error is to use a browser that is supported like Microsoft Internet Explorer, Firefox, Google Chrome, or Safari.